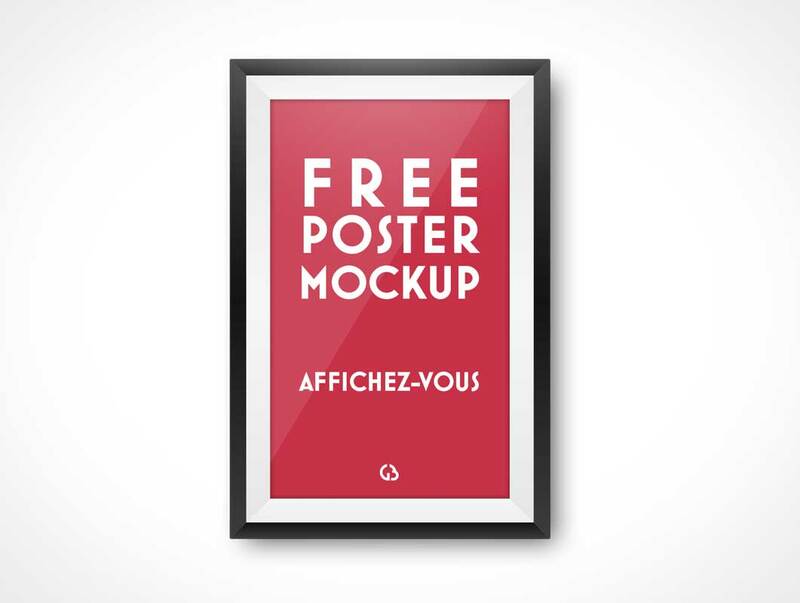 This poster PSD Mockup is rendered to appear hanging on the wall. 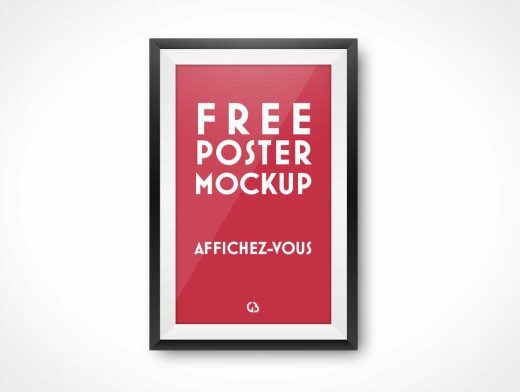 The poster renders any supplied design with matching aspect ratio to this framed poster with white beveled trim. The poster sits behind a sheet of glass which is represented here with a glossy light source reveal that begins above the poster.